For many companies and organizations, barcodes have become the main way they identify inventory and coordinate supplies. Barcoding is an efficient, cost-effective, and simple process. But having a reliable supplier for your Zebra-Ultimate-4000 labels and Zebra-Supreme-2000 labels can be critical. For all your Zebra labels and barcode supplies there is but one name to remember. That name is Tri-State Business Systems. Whether you are looking for barcode supplies or are interested in a new system or upgrade, we are here to assist you. Our experienced and superior customer service team can help design a complete barcode system to suit your particular application. Not only will we suggest appropriate equipment and supplies, but we will make sure your new system is working effectively at the outset, saving you time and money. Put our decades of experience to work for you! While we started in business serving the East Coast, we now have customers across the country. We serve Fortune 500 and 1000 companies in virtually every business segment. We’ve built our business on amazing customer service and brand name equipment and supplies like Zebra, TSBS, Sony, and Datamax. From Maine to Florida to Texas and California, when you need barcode supplies and equipment, you can count on Tri-State Business Systems. 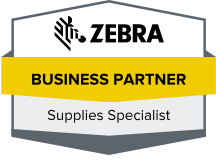 If you use Zebra-Ultimate-4000 labels, Zebra-Supreme-2000 labels, or any Zebra product, count on Tri-State Business Systems for your supplies. See why more and more companies and organizations are choosing TSBS. Contact us today.